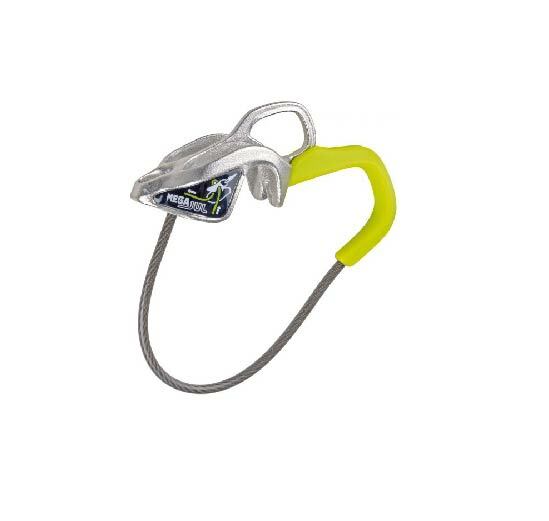 Petzl’s GRIGRI has once again evolved into the next generation model—the Plus. Wider rope range. The Plus, to be used with a suggested range of 8.5 to 11mm and a sweet spot of 8.9 to 10.5mm ropes, takes a wider range of diameters than its predecessor, the GRIGRI 2, which has a suggested range of 8.9 to 11mm and sweet spot of 9.4 to 10.3. As ropes continue to get skinnier, I found the added range an improvement over the GRIGRI 2, since it gives you more control at the thinner end of the spectrum while still allowing you to use the same device for fuzzy old gym cords. Lead and toprope modes. A new function of the GRIGRI+ is an option between two belay modes, one for toproping and one for leading. In “TR mode,” the cam is looser, which means that it locks more easily when the climber weights the rope. 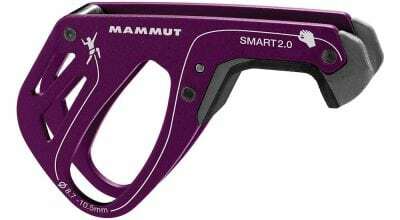 In “lead mode,” the cam is stiffer—stiffer even than with the GRIGRI 2—which I found made it easier to feed out slack more quickly and helped prevent short roping a climber. “Anti-Panic” function. 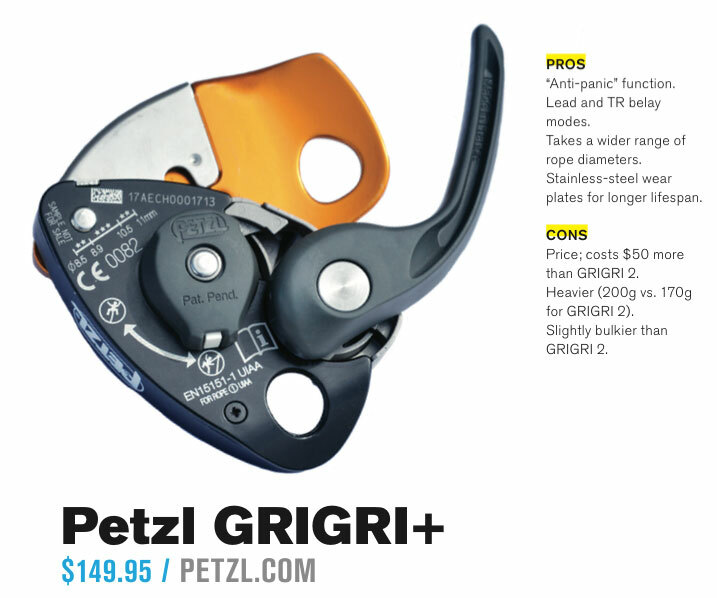 New to the GRIGRI+ is the added “anti-panic function”—a carryover from Petzl’s personal-escape system for firefighters. If you “panic” and pull the lowering lever back too hard, the device locks again. This helps prevent belayers from dropping the climber—one of the most common human-error accidents with the device—or themselves when rappelling. I find the feature tricky to get used to, however, when belaying a light climber or using a fat, fuzzy rope, because the anti-panic function can trigger unnecessarily, causing the device to lock up—a trade-off for the increased safety margin. 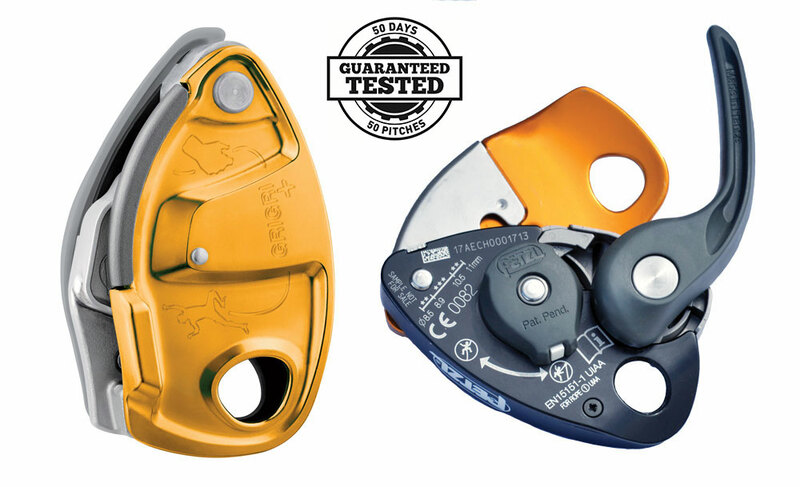 Stainless-steel wear plates where the rope runs over the edge of the device will significantly increase its lifespan for climbers who frequent sandy crags (or never wash their ropes) over the GRIGRI 2, which has an aluminum edge. Should you upgrade to the Plus? Unlike the GRIGRI 2 when released, the GRIGRI+ isn’t kicking out the older model—both are here to stay. So which one is best for you? Well, that depends. 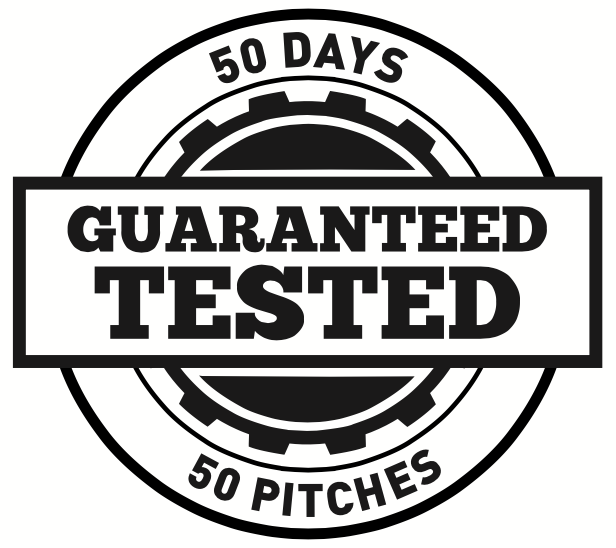 Longtime users might stay with their smaller, lighter versions unless they frequently climb with new belayers or in sandy environments that are harsh on gear. New belayers, climbing gyms and guides will want the new device because of its improvements in safety, durability and usability.